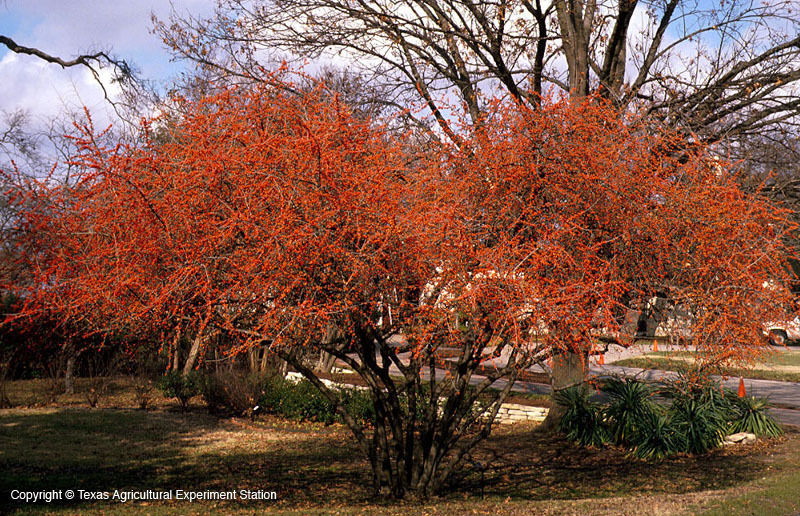 Possumhaw is a large shrub or small tree frequently encountered in or near seasonally wet areas in Central and East Texas. 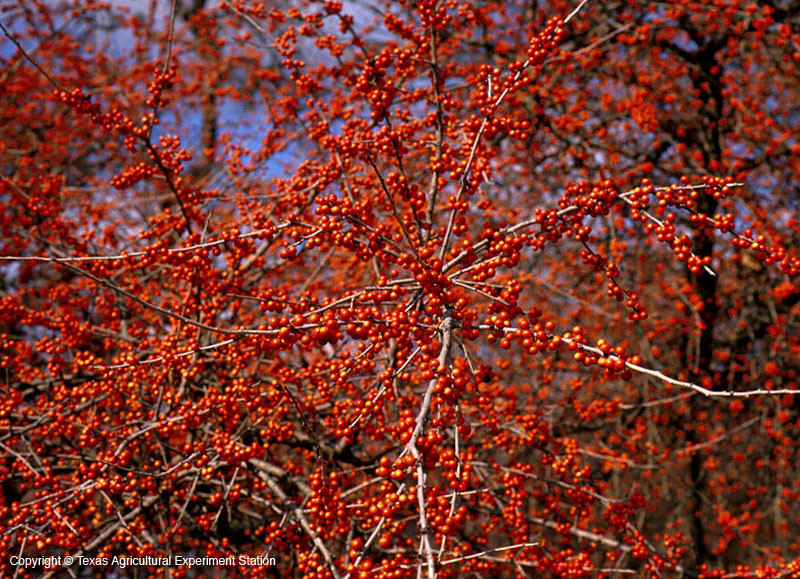 Fairly nondescript in summer, female plants with their red, orange, or yellow fruit can become a blaze of color in the fall and winter landscape. It is the widest ranging of all Texas hollies and can adapt to a wide range of soil conditions. It can be grown in shade, but it fruits best in partial shade to full sun. Females need a male pollinator for good fuit set.